Createspace Independent Publishing Platform, 9781545213858, 236pp. A secret fraternal order exists for the sole purpose of indulging in the greatest pleasures of life... Chi Khan, Anwar Mamluk, and Ali Rahman have traded in their humdrum past lives to join the Order of Legions of Solomon's Temple. Formed in the 12th century, men who become members of this fraternal order have the best of everything at their disposal including money, power and women galore. The pretentiousness and braggadocio of these alpha males is over the top but it is justified because they are a superior group of men. With such a lavish life guaranteed by membership to this secret society, why would one of its top members risk his power and prestige all because of his obsession with the famous singer, Teresa McMillan? This relationship - which is forbidden in the first place - could unveil their secret existence and potentially leave them open to all out war with all of the military establishments of the world. A fraternal order, hundreds of years in the making, is in jeopardy of crumbling at the foundation because of one member's failure to maintain protocol in order to protect the egocentric desires of the entire brotherhood. M. L. Childs is the author of The Vital Sacrifice. She graduated with a bachelor's degree in history from Spelman College. She was inspired to write The Vital Sacrifice after countless hours of listening to history lectures that were devoid of drama. 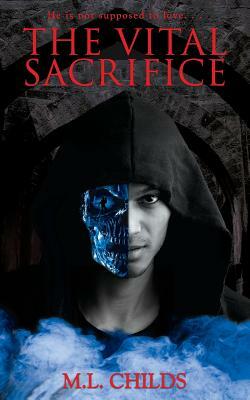 The Vital Sacrifice fuses fiction, history, and fantasy together to create a paranormal tale that re-introduces the Western world to the Eastern concept of the genie. M. L. Childs resides in Metro Atlanta - home to the multi-billion dollar film industry - where she is developing her skills as a screenwriter.